You will download my original Unicorn & Friends Coloring Pages in a Zip File. There are 2 jpg files and 2 pdf files all in black and white. 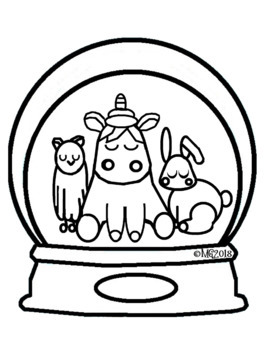 One design is a Unicorn, rabbit and owl in a snow globe. 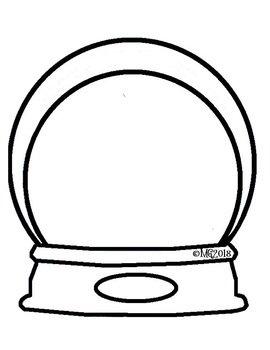 The other design is a blank snow globe to encourage children's own creativity and writing. Both are printable on 8.5" x 11" paper. any commercial use as I may publish it later on. It is my original artwork. Don't forget to leave feedback so you can earn TPT points for free products.